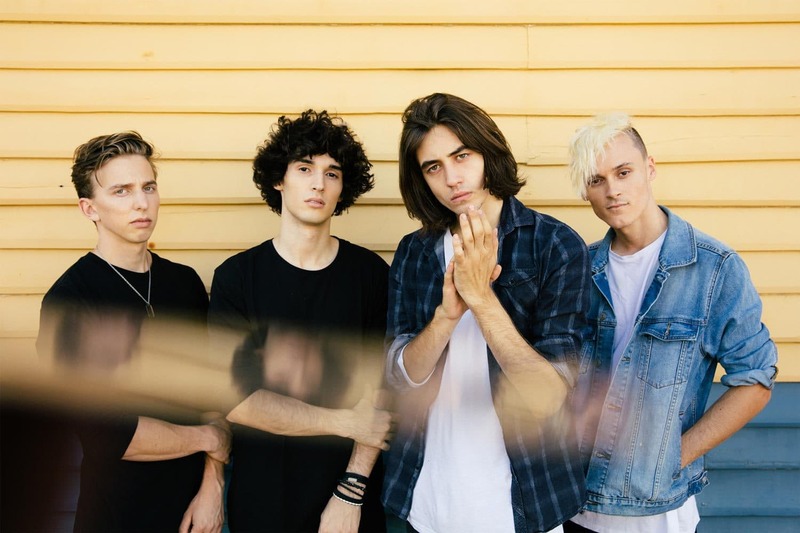 Having previously premiered the lead single from the forthcoming debut album with Forbes, emerging Australian pop-rock quartet, The Faim, are today live streaming the video for ‘FIRE’ via YouYube. The band are currently chatting to fans throughout the stream that went live at 5pm GMT on Wednesday 6th February. The single was recorded in Los Angeles and produced by Linus (blink-182, 5 Seconds of Summer, Palaye Royale), the song is saturated with addictive pop-beats and dazzling guitar riffs, with the spotlight on frontman Josh Raven’s soaring vocals. Overall, “Fire” captures the band’s infectious, magnetic sound that has been building momentum and resonating with fans across the globe. Fire has already secured many plays on Spotify playlists including New Music Friday, New Noise, Film & Sync playlist, Apples Breaking Alternative, A-List Alternative, Best Of The Week, Deezers Brand New Uk and many more. The four-piece wrapped the Australian leg of their first ever headline run, resulting in sold-out shows in Melbourne, Brisbane, Sydney, and their hometown of Perth in January. Their European headline trek also commenced last week, with dates in London, Southampton, Birmingham, Amsterdam, Cologne, and Hamburg already completely selling out in advance including 8 venue upgrades and all over shows selling out on walk up. A full routing is included below, with tickets available HERE.